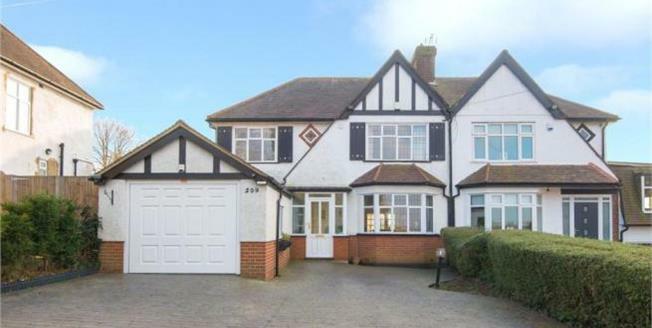 An attractive four bedroom property situated within approximately 0.5 miles of Cuffley station with a direct rail link to London Moorgate and Finsbury Park. The property has spacious accommodation comprising of through lounge overlooking the south facing rear garden, kitchen/family room, utility with access to the garage and cloakroom. To the first floor are the four bedrooms, the master being en suite, and the family bathroom. Outside the rear garden, benefitting from a swimming pool, has far reaching views over the countryside. The property is approached through electric gates to the driveway offering ample off street parking.